From the invention of the ultrasound scan in the 1950s to the world’s first computerised bionic leg in 2012, technology allows us to see the human body in new ways and to diagnose and map treatment and recovery with increasing efficiency. Sometimes developments have resulted from collaborations with other fast-developing industries such as engineering or computer software development. Here is an overview of some widespread and groundbreaking technological developments in recent years. Hospitals all over the globe are making a commitment towards achieving filmless radiology, which means, that when a patient has an x-ray or scan, the image is transferred directly to a computer screen. 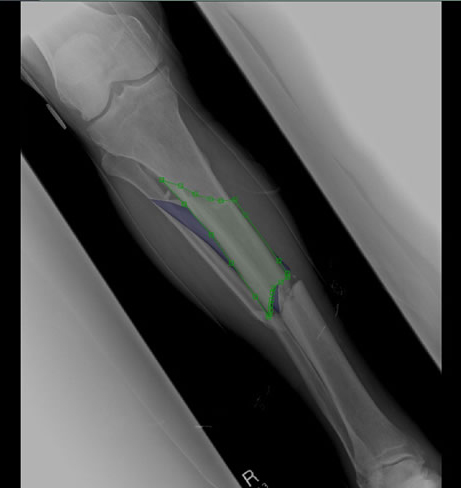 The benefits of filmless radiology include being able to distribute images quickly and use computer programmes to map out pre-operative plans including programmes for fracture management, which can apply electronic templates to x-ray scans to work out the right course of treatment for mending breaks without wasting resources. Advances in radiology allow us to see further into the body without resorting to surgery. Organs, such as the heart, which were once considered inaccessible by traditional one-dimensional x-rays, are now more easily examined. Nanopore sequencing works by passing a single strand of DNA through a protein pore formed in a membrane (imagine threading a piece of hair through a thin piece of fabric). Next an electric current is streamed through the pore. ‘DNA bases’ are the building blocks of the double helix DNA structure and they disrupt the electrical current in different ways, which allows the sequencing machine to electronically read out the sequence and interpret DNA bases directly. The technology could make genome sequencing faster, cheaper, and even handy enough to allow doctors to order sequencing as they would a routine blood test, making the technology accessible to more and more patients. DNA sequencing can help to identify mutations in cancerous tumors and personalize a patient’s treatment. An example of collaboration between industries can be seen in the development of the Ventricular Assist Device (VAD) in the 1990s. NASA engineers in Houston worked with Doctors to develop an artificial heart pump, which was based on the space shuttle’s own fuel pumps. The pump helps to keep people healthy as they await heart transplants — and can, on occasion, remove the need for a transplant. In the UK in 2009, surgeons removed a donor heart from a toddler after her own VAD assisted heart had recovered. In 2012 a Belgian company introduced the bendable microchip, which measures just 30 micrometers in length (that’s 3 hundredths of a millimeter) and can be inserted directly into the human body, where it can internally process and relay important information about changes in a patient’s physiological condition. These innovative microchips are made from ‘off the shelf’ computer microchips which are ground down to create their tiny flexible counterparts. This technology is still in prototype stage but could signal a major shift in patient monitoring and speed of diagnosis.